Firth Park is getting a makeover this Saturday as keen litter pickers hope to make Sheffield green again – if the snow doesn’t get in their way. 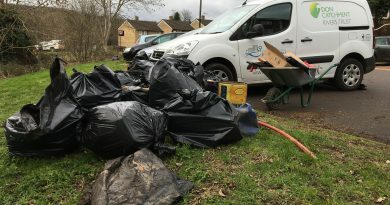 Around 60 volunteers are expected to turn out in force this Saturday to clean up the area that’s notorious for litter. At 65 acres, Firth Park is a multi-use area with space for football, basketball, pop-up gyms and a drop-in nursery located northeast of the city centre. 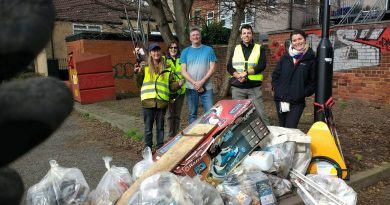 The Sheffield Litter Picking group, which has hundreds of active members on Facebook, spans across all areas of Sheffield, and they’ve targeted Firth Park as a location for their big effort at 1pm on March 3 to help galvanise the community. The group are going to make a decision on the day at 10am as to whether the event will go ahead, as snow on the ground will make their task near on impossible. Amey, who are Sheffield’s infrastructure support service provider, have given out 100 grabbers for this weekend to help encourage people to take pride in their local environment. Linda Ball, organising the event, said the co-operation they have received from Amey has been refreshing and has enabled more people to take part. “Their support has been invaluable because the idea behind it was that we make a big statement on the day but carry that forward,” she said. The litter pickers will split into seven groups to tackle Pismire Hill, Stubbin Lane area, central Firth Park shops, Clock Tower and Hinde Common Wood. Members from the Muslim Youth Association, as well as local councillors Abtisam Mohamad and Mark Jones and a church group from Page Hall, are going to join in. Sarah Hardy, vice-chancellor of Firth Park and co-organiser of the event, added: “The council schemes and Amey projects have started but only gone on for six months and then the impetus is lost. I'm a trainee journalist and Head of Sport at Forge Press, the University of Sheffield's free student newspaper. Former Chelmsford City Press Officer and Non-League Paper match reporter.